Gine and Fasha from Universe 7. 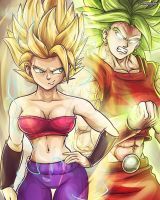 Kale and Caulifla from Universe 6. Looks amazing! Nice work! You should definitely do more with the U6 Saiyans. Thoughts? 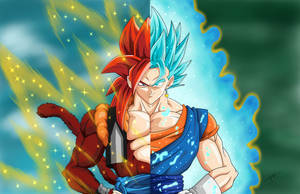 Kale: Wait, the girl saiyans have tails? !